Une voie piétonne | One quality, the finest. The Rive droite of the Seine is open to pedestrians for the first time since 1967. The project to adapt the route Georges Pompidou to allow cars and foot traffic to coexist was the brainchild of Paris’ mayor, Bertrand Delanoë. The existing traffic lanes were narrowed to make way for une voie piétonne (oon vwah pea-ay-ton), or a pedestrian lane alongside. This is just one part of a 7 million dollar project. Five new places to moor boats will be installed: one for the Batobus, the tourist excursion boat, the other four will be for floating entertainment barges. 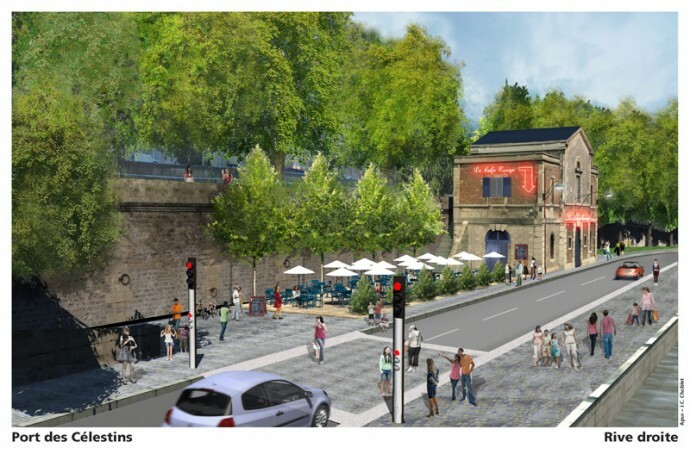 The other side of the Seine, near the musée d’Orsay, is targeted for a similar transformation. The project is not without its detractors. The route Georges Pompidou resembles a speedway more than a boardwalk. The normal traffic pattern is 40,000 vehicles a day with a peak of 4,000 in a single hour. 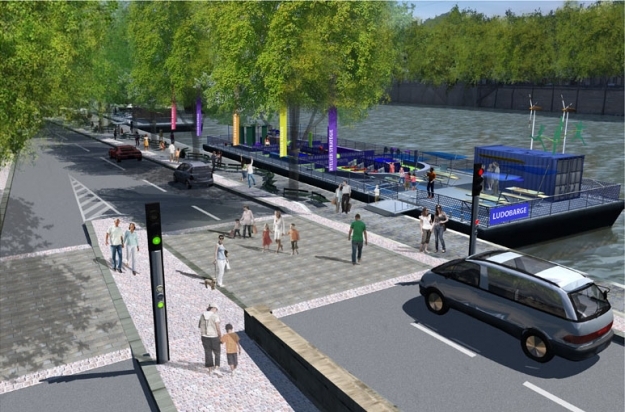 Four additional traffic lights have been installed along the Seine to force the traffic to slow down in the pedestrian area. In a city where traffic jams are common, the fear is that this project will only make the situation worse as drivers flee the slower route for other already congested streets. And by narrowing the lanes and adding pedestrians to the mix, critics fear that accidents are inevitable. But so far, so good. In fact, in its first day of operation, the time to drive the route actually dropped by three minutes. But since not everyone is back from vacation yet, the jury is still out. This entry was posted in Travel and tagged Bertrand Delanoë, pedestrian path opens on rive ddroite, rive droite, Seine, une voie piétonne. Bookmark the permalink.